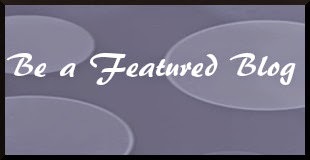 The Tale Temptress: Feature Friday & Blog Hop: Featuring Silver's Reviews Blog! 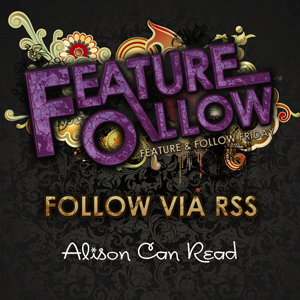 Feature Friday & Blog Hop: Featuring Silver's Reviews Blog! I'm excited to also be featuring a blog myself this week! This will be the first blog that I have personally featured here on The Tale Temptress. If you'd like your blog reviewed, click on the Be A Featured Blog item in my main menu. See this week's Featured Blog, at the bottom of my FF & Blog Hop. Question of the Week: How do you write your reviews? Great question this week. Honestly, I don't have any rhyme, reason, or specific format. I just think about the book, what I thought of it, how it made me feel, what I liked and didn't like, etc... and then I just see what comes out of my thoughts. Since characters are the most important thing to me, I think my reviews tend to be pretty character driven because if I don't like the characters, the story won't really matter to me, no matter how well plotted it might be. I also like to talk a little about how the book was to read, in other words, pacing. But then I like to make sure and talk about how the author's writing made me feel. Other than that, I just let my thoughts fly. Question of the Week: Why would you stop reading a book? Too long, wrong genre, bad language, not what you expected, or something totally different? The book plods too much for me. If I feel like the book is a chore to read, that more than likely means I'm not enjoying it and I'm having to really push myself to read it. I'll give it at least 100 pages, but if it doesn't improve, it might be 86'd. If I don't like or sympathize with the characters. Characters are extremely important to me... in fact, this is my top factor in a book. I have to love the characters or the story doesn't really matter. If the book turns out to be too weird for me. So this is my first time to feature another blog on my site. Please help me welcome Elizabeth from Silver's Reviews this week!! Let's get to know Elizabeth and her blog a little more. Make sure to check out her site and leave a comment!! The Tale Temptress: How did you get started blogging? Elizabeth @ Silver's Reviews: My blog began in 2010 simply because I wanted to give blogging a try and to have my own personal space to share my reviews. It has been a very pleasurable experience with the highlight being meeting other bloggers. Book Bloggers are the most helpful, friendly folks I know. The Tale Temptress: What genre/subgenre do you read and review? The Tale Temptress: Are there any books that you would re-read and if so, which ones? I enjoy reading historical fiction, mystery, and women's fiction. The Tale Temptress: Do you prefer eBooks or the printed page? The Tale Temptress: Do you do any special features on your blog that readers might like to know about? Elizabeth @ Silver's Reviews: I have weekly memes hosted by other blogs that I participate in and post each Monday and Friday. Monday always features Mailbox Monday where you can list review books, library books, borrowed books, etc. that came into your home for the past week. Monday also features It's Monday! What Are You Reading? where you list what you have read, what you are currently reading, and what is coming up next. 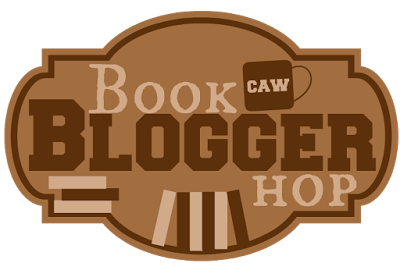 Friday features The Book Blogger Hop where a bookish question is asked and bloggers answer the weekly question. Friday also has Book Beginnings where you can get a sneak peek into books in all genres. The Tale Temptress: What has been the most rewarding experience you've had as a blogger? Elizabeth @ Silver's Reviews: Learning how to maintain a blog has been rewarding, but the most rewarding experience as a blogger is meeting other bloggers. Book Bloggers are a wonderful community of wonderful people.